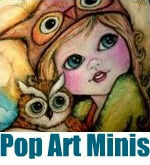 Pop Art Minis: Wren Witch & Friends...Half Way Through...Another Sneak Peek A BOO! 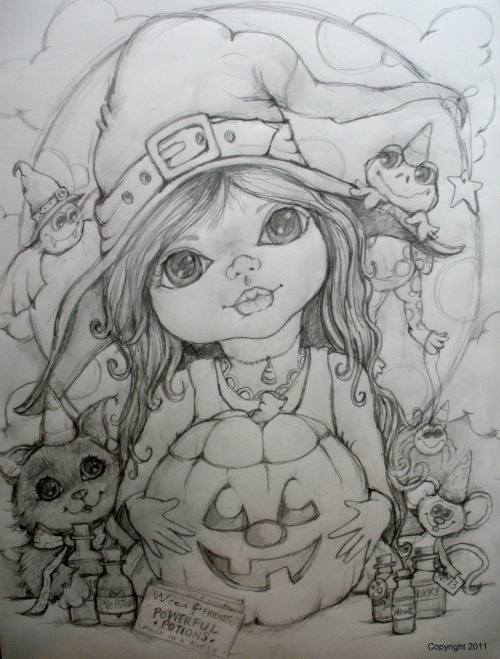 Wren Witch & Friends...Half Way Through...Another Sneak Peek A BOO! I made a little progress on my latest super sized mini...about half way through! Here's a quick pic update...a peek a BOO! The little black cat, jolly jack and mischievous mouse are waiting patiently to join the colorful celebration! Crossing my fingers that I'll be able to finish later tonight! And you never know...there might even be a surprise character show up! Till then...Hi Ho, Hi Ho...it's off to work I go...dolls are waiting! I love the candy corn hats! 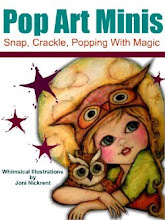 She's so adorable Joni! love her expression.